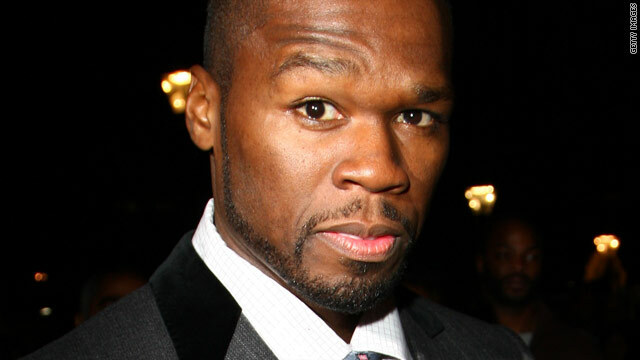 50 Cent (Curtis Jackson) recently said he spends $20,000 a week for security. (CNN) -- Celebrities are always trying to build walls around themselves, literally and figuratively, and those walls cost money. This week, rapper 50 Cent, whose real name is Curtis Jackson, admitted that he spends $20,000 a week on security at his Farmington, Connecticut, mansion. "My home is surrounded by cameras. I need surveillance not only to look out for me but also to protect me. You get all these crazy lawsuits, and I need cameras to check on things," the 33-year-old told the entertainment news service WENN. Jackson's security costs work out to a little over $1 million a year. Although spending more on security in two weeks than the average American's yearly income may seem excessive, Jackson's expenditures are in the lower end of what most high-profile individuals pay to protect themselves, their families and their property. New York-based security expert and retired New York Police Detective Thomas Werther owns Sector Mike Security systems and spends his days protecting musicians, actors, actresses and sports stars. He explained the breakdown of expenses for a day of security for the average high-profile individual. "For one day, if you need one truck with a driver and three security agents, you are looking at $4,000 a day, and use that four days a week, then you can easily see spending $20,000 a week. For a guy like 50 Cent, that seems like a modest expense, especially if you are factoring in home security," Werther explained. Aaron Cohen, a former member of Israel's counterterrorist special forces unit and now the director of IMS Security in Hollywood, works with numerous high-profile individuals and families, including supermodel Kate Moss. Cohen says security is one of the highest single expenditures a celebrity will make in a year. "If you are looking to protect a celebrity family like Brad [Pitt] and Angelina [Jolie] or Jennifer Lopez and Marc Anthony, for instance, the price tag for job like that is going to be around $1 [million] to $1.4 million a year," Cohen said. "When you have kids, you need separate security, because everyone is going off in different directions." Those costs, according to Cohen, break down to half a million dollars just for residential protection and surveillance that would include 24-hour security monitoring with a constantly streaming network of cameras. An additional half-million in costs can be incurred as a celebrity travels, paying each security guard between $500 and $1,000 a day while away from home. That cost can rise by a premium of $20,000 a month the second a celebrity stalker enters the equation. "It is at least a $20,000 retainer in order to boost security and add a proactive investigation to stop a stalker," Cohen said. "You will also spend that if you are the kind of celebrity who is constantly dogged by paparazzi." One such celebrity is Britney Spears, who spends nearly half a million dollars a year for security, according to accounting information filed with the Los Angeles Superior Court by Spears' father, Jamie Spears, who manages her estate. Over the course of 11 months in 2008, the singer spent $447,633 on security measures. That breaks down to about half what Jackson spends a month. Could you become a celebrity stalker? What do reality TV stars make, anyway?